Bounce around and Build Your Board - Are You a Board King? If you love board games, you’ll be head over heels for Board Kings - the funnest online FREE board game around! 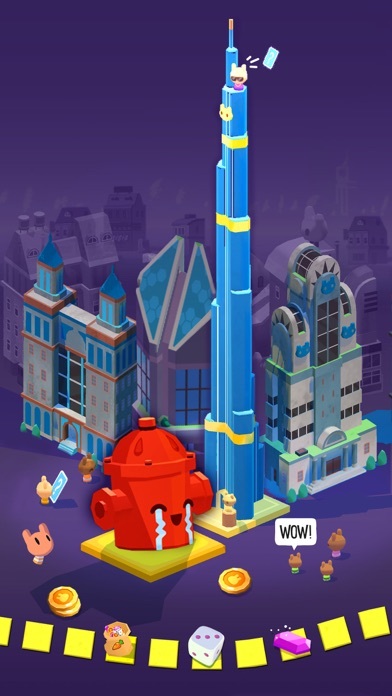 Build up your board, buy some cool landmarks - and keep your bunny residents happy! Bring your friends along for the fun: invite them to Board Kings and receive some cool freebies, then visit their boards...and steal their stuff! But, be warned - once you start stealing, you’ll need to protect your own board: guard it by placing cop cars all over your board, and make sure to watch out for wannabe thieves! Board Kings is the coolest online board game for everyone! Play Board Games with Your Friends! Hop on the express train to your friends’ boards! Have fun and send them gifts, or… •	DESTROY THEIR BOARDS!!! Play your free board game, your way...Grab their landmarks, steal their coins and go nuts...what’s the worst that could happen? •	Keep safe your friends’ board game attacks! Put those cop cars on your board and watch out - you might not be alone on your board…! This is Board Kings, where you can be naughty...or nice. Build, build, build your board just how you like it! New to free online board games? Start off small, and start upgrading your board - collect coins when your dice rolls! •	Get awesome goodies as you roll the dice! From gems, to extra coins, to free rolls and more - who knows what you’ll collect? 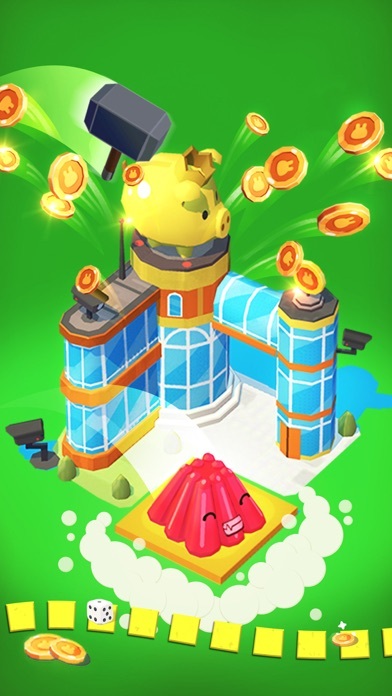 •	The more coins you collect, the more landmarks you can buy, and the better your game boards! 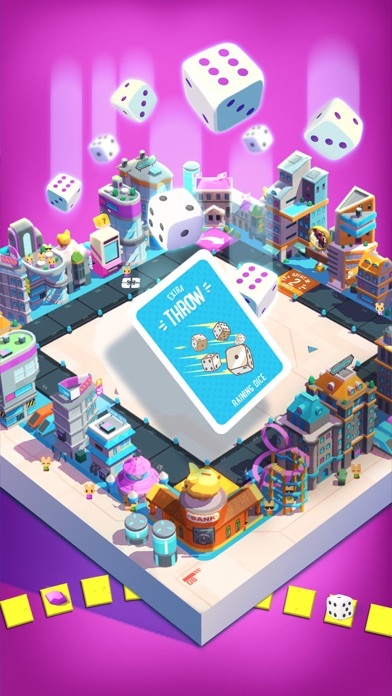 •	Customize your board in this free building game/board game: choose your theme, your dice style, and your idol board hopper! •	Use your coins to upgrade your board! Keep upgrading for bigger, better boards! 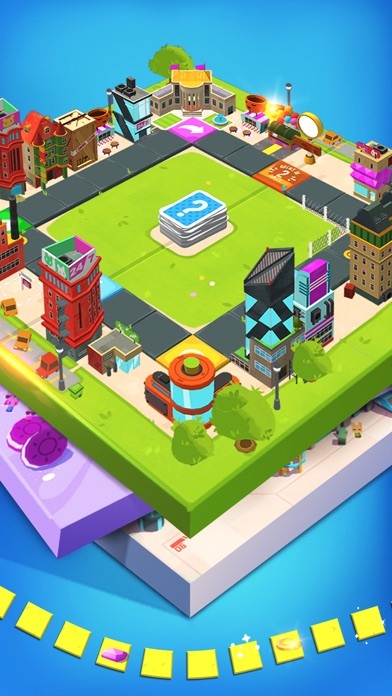 And even more goodies are waiting for you...Roll the dice and play through 20 awesome free building game boards, with more boards added in every update! This is how awesome board games should be! Introducing: The Brand New Board Raiders Free Bunny Album! 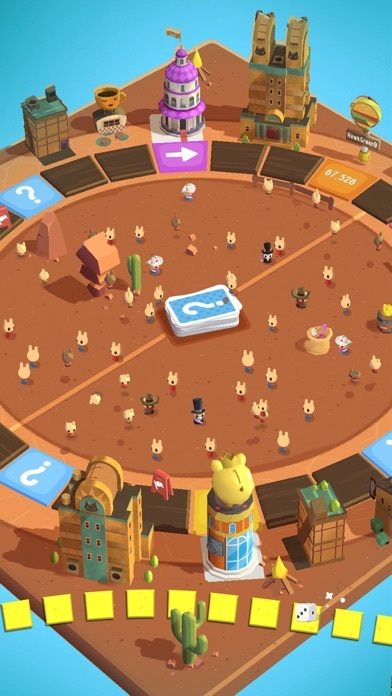 Win BIG with Board Raiders, our brand NEW Bunny Album! Each season’s album tells a brand new story! 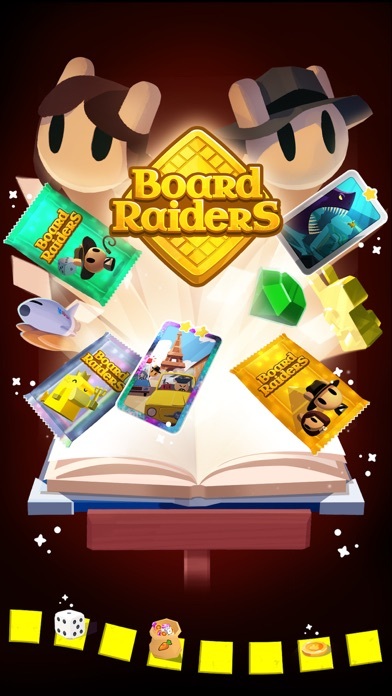 •	Bounce around your board to collect awesome stickers and fill up your Board Raiders Bunny Album! •	Win HUGE prizes and bonuses when you collect every sticker in Board Raiders, the cool new latest Bunny Album! Keep in touch! 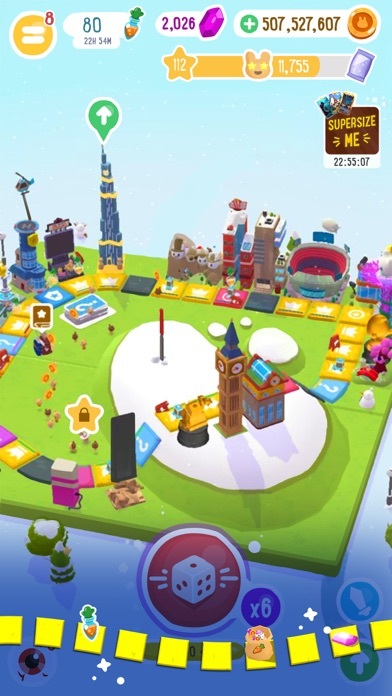 Connect your Facebook to play Board Kings multiplayer board games FREE with your friends! Friends not on Board Kings? Invite them to play awesome building game board games and get free rolls, gems and other goodies! uhh... the new update deleted all of my progress and several other people have noticed this bug as well. When is this going to be fixed? I play this game to help with my anxiety and had leveled up a lot so having to redo it all certainly wouldn’t help me and I’m not going to do that. Play 5 minutes...wait 1 hour?! 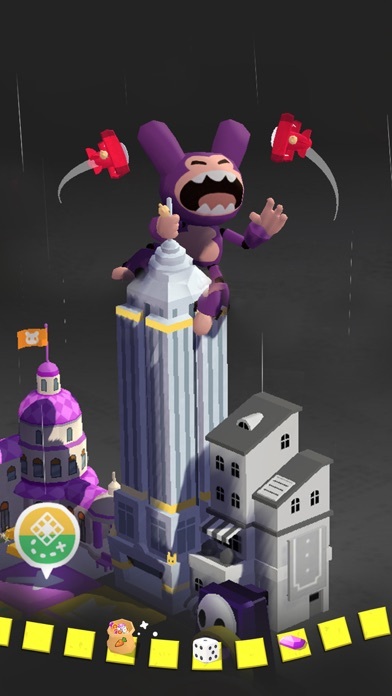 This is one of those games you are reluctant to even keep on your phone because if you end up enjoying it you are instantly out $3-5 within the first 5 minutes of opening it...EVERY time!! I started with 19 rolls...not even the full 30 my bank was capable of holding. That waddled down within 5 minutes and in trying to find more rolls I encountered the trap...either spam friends on Facebook (if you even have an account) or pay 2.99 for 50 rolls (19 lasted 5 minutes)...yeah. I will give it a day to see if things change for the better, but if I have to continue waiting an hour for 4 rolls that give me 1 minute of play then I will be deleting this money trap of an app. I have been playing this game for well over a year. I was very far into it and had paid for many many items. Today’s update started my game over at the very beginning. This is just unbelievable. All the time and money I’ve put into this game is just gone. I will delete this from my phone and will never play anything from this developer again. i whatever you did fir an update restarted me on all devices. i was close to level 31 (collecting gold) and close to finishing the album (77 percent). it might be a bug but i started crying since my mother spent about 10 dollars on the for me. her spending 10 dollars for me was like the best thing ever... i got restarted, deleted everything. So, this game is really fun and great at first, but after you play it for like 10 minutes then starts to get boring and are you have Wait 30 more minutes in order to get four rolls of die it’s very hard to get very far without Paying a lot of money so it’s a really good game and I enjoy playing it but I wish it would be a little bit more fun you can only have 30 rolls in the beginning out of I don’t even now but my point is it would be really even more fun if we could have any more rolls?